Bruno Bartoletti (Sesto Fiorentino, 10 June 1926 – Florence, 9 June 2013  ) was an Italian operatic conductor. His active international career lasted from 1953 to 2007, and he specialized in the Italian repertory and contemporary works. He was particularly noted for his 51-year association with Lyric Opera of Chicago, as co-artistic director, artistic director, principal conductor, and artistic director emeritus. He also served as Artistic Director of both the Teatro dell'Opera di Roma (1965–1973) and the Maggio Musicale Fiorentino (1985–1991), and as principal conductor of the Danish Royal Opera (1957–1960),  in addition to frequent work as a guest conductor at various major opera houses. Sesto Fiorentino, known locally as just Sesto, is a municipality (comune) in the Metropolitan City of Florence, Tuscany, central Italy. Bartoletti's father was Umberto Bartoletti, a blacksmith, who also played clarinet in a Florence band. As a youth, Bartoletti played the piccolo. A teacher in Florence recognised the young Bartoletti's talent in music, and her husband, the sculptor Antonio Berti, recommended him to the Cherubini Conservatory. There, he studied flute and piano. Bartoletti later played in the orchestra of the Maggio Musicale Fiorentino, and subsequently became a staff pianist with the Teatro Comunale Florence, at its centre of vocal training. He was an assistant to such conductors as Artur Rodzinski, Dimitri Mitropoulos, Vittorio Gui and Tullio Serafin. In particular, Serafin encouraged Bartoletti to study conducting. In December 1953, Bartoletti made his professional conducting debut at the Teatro Comunale with Rigoletto . In 1957, he became resident conductor of the Maggio Musicale Fiorentino, where his work included conducting the Italian premiere of Shostakovich's The Nose . Subsequently, Bartoletti was artistic director of the Rome Opera from 1965 to 1973. He returned to the Maggio Musicale Fiorentino as its artistic director from 1985 to 1991. Elsewhere in Europe, Bartoletti served as principal conductor of the Royal Danish Opera from 1957 to 1960. 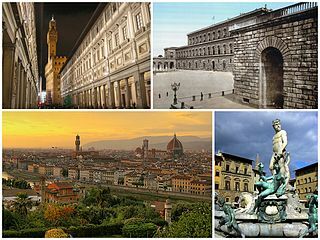 The Maggio Musicale Fiorentino is an annual Italian arts festival in Florence, including a notable opera festival, under the auspices of the Opera di Firenze. The festival occurs between late April into June annually, typically with four operas. Dimitri Mitropoulos, was a Greek conductor, pianist, and composer. He received international fame both as a major conductor and composer of the 20th century. Bartoletti made his US conducting debut with Lyric Opera of Chicago in 1956, conducting Il trovatore, as a replacement for the indisposed Serafin. In 1964, Bartoletti was named co-artistic director of Lyric Opera, alongside Pino Donati, and served jointly with Donati until 1974. In 1975, Bartoletti became sole artistic director, and held the post until his retirement in 1999. Following his retirement, he had the title of artistic director emeritus for the remainder of his life. Bartoletti began as Lyric Opera's principal conductor in 1964,  and served in that capacity until 1999. Over the period from 1956 to 2007, Bartoletti conducted approximately 600 performances of 55 operas with Lyric Opera, with his final conducting appearance at Lyric Opera in a 2007 production of La traviata . His other notable conducting work at Lyric Opera included conducting the US premiere of Britten's Billy Budd in 1970,  and the 1978 world premiere of Krzysztof Penderecki's Paradise Lost . Pino Donati was an Italian composer and for many years artistic director of the Chicago Lyric Opera. Luigi Dallapiccola was an Italian composer known for his lyrical twelve-tone compositions. Manon Lescaut is an opera in four acts by Giacomo Puccini, composed between 1890 and 1893. The story is based on the 1731 novel L'histoire du chevalier des Grieux et de Manon Lescaut by the Abbé Prévost. In 1884 an opera by Jules Massenet entitled Manon, and based on the same novel, was premiered and has also become popular. Bartoletti was married to the former Rosanna Sandretti, an elementary-school teacher, from 1 July 1953 until her death on 2 August 2011. The marriage produced two daughters, Chiara Bartoletti and Maria Poggi, who both survive Bartoletti. Other survivors include a sister, a brother, and five grandchildren, Livia, Filippo, Arianna, Margherita, and Nicolò. Neil Shicoff is an American Jewish opera singer and cantor known for his lyric tenor singing and his dramatic, emotional acting. Eugenio Fernandi was an Italian tenor, associated with both lyric and spinto roles. Piero Bellugi was an Italian conductor from Florence. As a conductor he recently performed at the Hamer Hall in Melbourne with the Melbourne Symphony Orchestra and Thomas Hampson, Carmen at the Théâtre du Capitole in Toulouse and Shostakovich's The Nose, directed by Barrie Kosky for Opera Australia at the Sydney Opera House. For Opera Australia he had previously conducted Szymanowski's Kròl Roger, Bizet's Carmen, Puccini's Tosca and La Bohème, Verdi's A Masked Ball and Macbeth and Rossini's The Barber of Seville among others. He opened the 2010 concert season of the Teatro La Fenice in Venice with the world premiere of Bruno Maderna’s Requiem; at the Fenice he had opened the Music Biennale 2005 with Goebbels’ Surrogate Cities and conducted the world premieres of Mosca’s Signor Goldoni and Ambrosini's Il Killer di Parole. Saturno Meletti was an Italian operatic bass-baritone particularly associated with the standard Italian repertory and contemporary works. Mark Steven Doss is a Grammy Award-winning African-American bass-baritone, specializing in opera, concert and recital. He has performed major roles with many international opera companies, including Milan's La Scala, Vienna State Opera, Lyric Opera of Chicago, San Francisco Opera, the Royal Opera House Covent Garden, Deutsche Staatsoper Berlin, Brussels' La Monnaie, Canadian Opera Company, and Oper Frankfurt. He divides his time between Toronto, Ontario and Erie, Pennsylvania. Richard Cowan was an American operatic bass-baritone. A National Finalist in the 1985 Metropolitan Opera National Council Auditions and winner of the Grand Prize in the 1987 Concours International de Chant de Paris, Cowan sang leading roles in the opera houses of Europe and North America and was the Artistic Director of the Lyrique en Mer opera festival in Belle Île, which he founded in 1998. Edoardo Müller was an Italian conductor who was chiefly recognized for his interpretations of bel canto operas. A frequent guest conductor with opera houses internationally, he had a lengthy association with the San Diego Opera which spanned 31 years. He was also an accomplished pianist who accompanied several notable singers in recitals and concerts; including Carlo Bergonzi, Renato Bruson, Montserrat Caballé, José Carreras, Leyla Gencer, Elena Obraztsova, and Renata Tebaldi. His work is preserved on recordings made for the Philips, BMG, Bongiovanni, and Orfeo record labels. He served as conductor for Joyce DiDonato's 2009 CD Colbran, the Muse: Rossini Opera Arias. 1 2 "E' morto Bruno Bartoletti". Cado In Piedi. 2013-06-09. Retrieved 2013-06-09. 1 2 "Bruno Bartoletti, Longtime Artistic Director of Lyric Opera of Chicago, Has Died". Opera News. 2013-06-09. Retrieved 2013-07-07. 1 2 Bruce Weber (2013-06-13). "Bruno Bartoletti, Maestro Who Shaped Lyric Opera of Chicago, Dies at 86". The New York Times. Retrieved 2013-06-15. 1 2 John von Rhein (June 9, 2013). "Bruno Bartoletti, longtime Lyric Opera director, dies". Chicago Tribune. Retrieved 2013-06-15. ↑ Andrew Patner (2013-06-09). "Bruno Bartoletti, longtime Lyric Opera conductor, dies in Florence". Chicago Sun-Times. Retrieved 2013-07-07. 1 2 "Bruno Bartoletti, Lyric Opera of Chicago's Artistic Director Emeritus, June 10, 1926 – June 9, 2013" (Press release). Lyric Opera of Chicago. 9 June 2013. Archived from the original on 13 April 2014. Retrieved 2013-07-07. ↑ "Rosanna Bartoletti, 1927-2011" (Press release). Lyric Opera of Chicago. 2 August 2011. Archived from the original on 23 June 2013. Retrieved 2013-07-07. Dictionnaire des interprètes, Alain Pâris, Robert Laffont, 1989.